A project management platform is useful for us to keep tabs on what we want to build. Taiga is a popular open source project management platform that is highly recommended by opensource.com to be the top open source alternative to Trello. Taiga runs well on a Raspberry Pi 3. 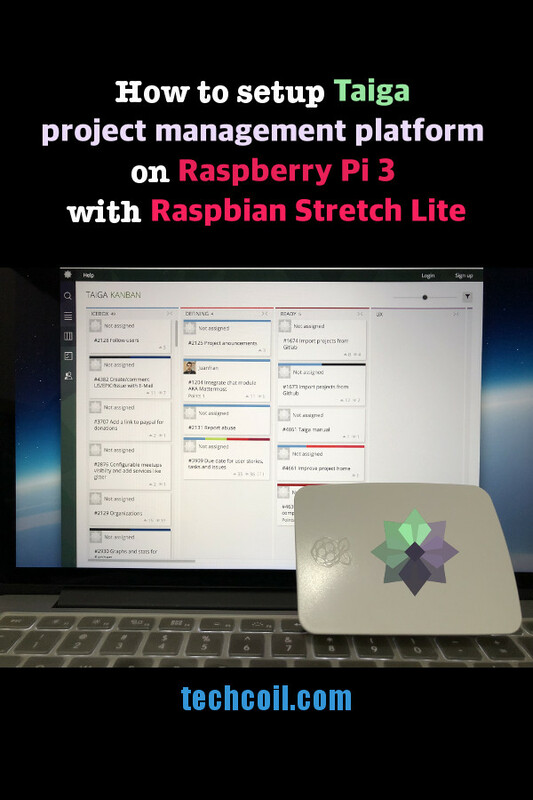 If you want to setup something at home to help you manage the projects that you are working on, you can consider setting up the Taiga project management platform on a Raspberry Pi 3 with Raspbian Stretch Lite as the base operating system. This post is adapted from Taiga's installation guide to serve as a guide to setting up Taiga project management platform on Raspberry Pi 3 with Raspbian Stretch Lite. SSH server which enables you to configure Raspbian Stretch Lite from another computer in your home network. Python 3 for running one of Taiga's component, Taiga backend, that is based on Django. Python 3 package manager (pip3) for installing the dependencies for Taiga backend. Virtualenv for you to create an isolated environment for running Taiga backend. You will need to use the taiga user to proceed with the rest of this guide. sudo rabbitmqctl set_permissions -p taiga taiga ". *" ". *" ". *"
After the creation of the logs directory, we can then proceed to setup Taiga backend. 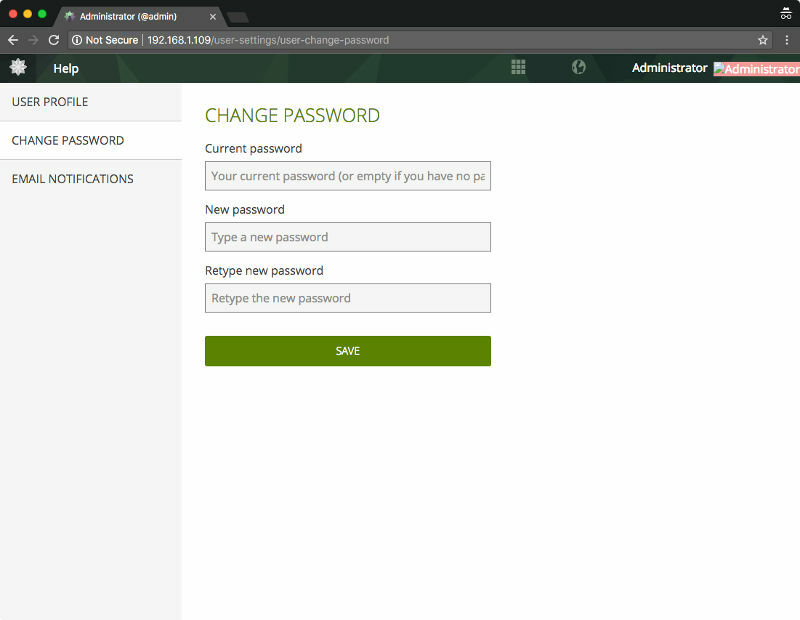 This will create the administrator account with login username admin with password 123123. Save the configuration file when you had completed filling up your details. If taiga-back is setup correctly, you should be able to see a JSON representing the list of endpoints at the url: http://localhost:8000/api/v1/. Once you had verified that taiga-back is setup correctly, go back to the SSH session that you run Taiga backend from. Stop running Taiga backend by pressing CONTROL-C.
After setting up Taiga backend, proceed on to setup Taiga frontend. Once you had setup Taiga frontend on your Raspberry Pi 3, you may choose to setup Taiga events which is an optional component. Taiga-events is the Taiga websocket server, it allows taiga frontend to show realtime changes in the backlog, taskboard, kanban and issues listing. Taiga events uses RabbitMQ as the message broker. Note: The 'secret' in your config.json must be the same as the "SECRET_KEY" in ~/taiga-back/settings/local.py. Supervisor is a process control system that can help keep Taiga backend and Taiga events running on your Raspberry Pi 3. Once we had the codes for Taiga components and Taiga events in our Raspberry Pi 3, we can proceed to configure Supervisor to run them. We first create a bash script for Supervisor to run Taiga backend. Inside the bash script, we will instruct gunicorn to start Taiga backend for us. 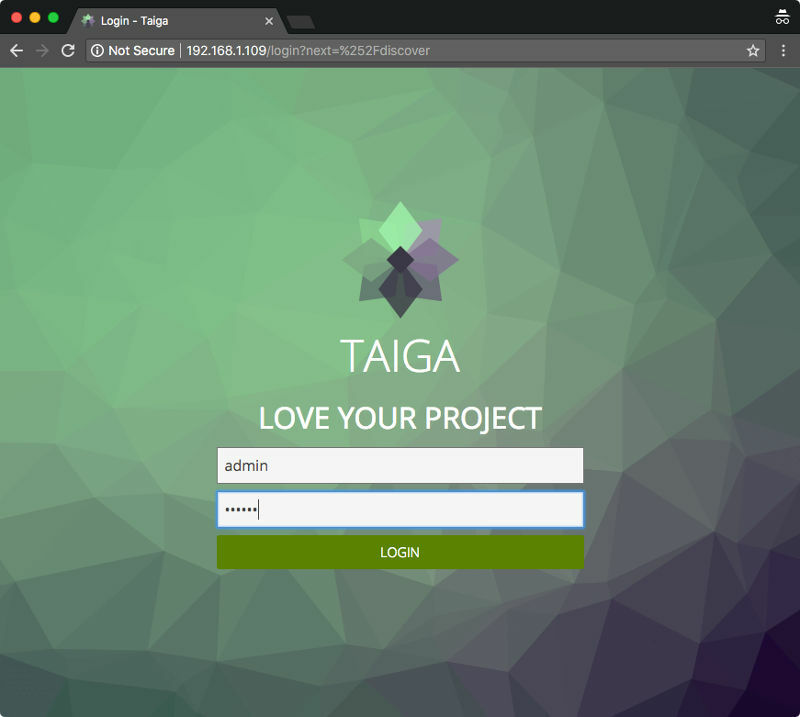 Once you had restarted Nginx, you can use the browser on your home computer to access your Taiga installation on your Raspberry Pi 3. Suppose that your Raspberry Pi 3 is reachable from your home computer via 192.168.1.109, enter http://192.168.1.109 in the location bar. 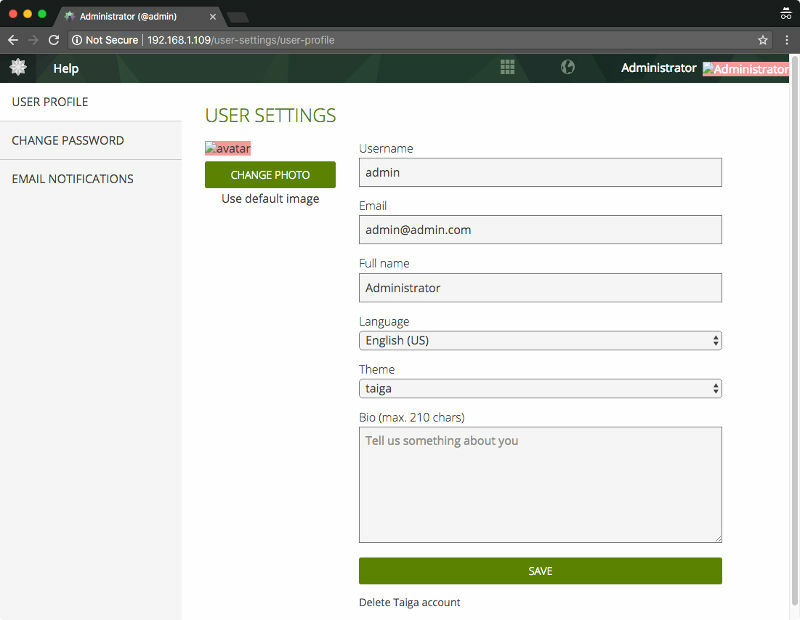 Remember that we had created an administrator account with login username admin with password 123123. This is not safe as anybody who read this post can get administrator access to your Taiga installation. And click on the "LOGIN" button. Enter the relevant input and click on the "SAVE" button. Notice that the profile photo is broken. To correct that, go to the "USER SETTINGS" page by clicking on the "USER PROFILE" tab at the left. In the "USER SETTINGS" page, click on the "CHANGE PHOTO" button to choose a picture from your computer as the new profile picture. At this point in time, you had setup a Taiga installation on your Raspberry Pi 3 that can only be accessed from within your home network. If you want to be able to access your Taiga installation from outside your home network, there are more configurations to be done. A domain or subdomain name that is mapped to the public IP address that your home router had gotten from the Internet Service Provider. If your public IP address changes frequently, you may want to buy a Namecheap domain and get your Raspberry Pi 3 to use Namecheap dynamic DNS to update your domain when your home’s public IP address changes. Forwarding of network traffic made to port 80 and 443 of your home router public IP address to the IP address of the Raspberry Pi 3 that contains your Taiga installation. If you happen to use Linksys EA7500 Max-Stream AC1900 router, you can checkout this post on how to do so. Once you had met the pre-requisites, proceed to install Certbot on Raspbian Stretch Lite. Suppose that you had designated taiga.yourdomain.com as the domain to reach your Taiga installation on your Raspberry Pi 3. These configuration changes will make Nginx server proxies HTTP requests bound for http://taiga.yourdomain.com to the respective Taiga components. In addition, these configuration changes allow Let's Encrypt servers to access a secret file that Certbot will create inside /home/taiga/.well-known directory in the process of requesting for Let's Encrypt browser-trusted certificate. With the Diffie-Hellman group generated, we can then proceed on to configure Nginx to serve HTTPS traffic for requests made to our Taiga installation. The last step is to update Taiga backend and Taiga frontend configurations. 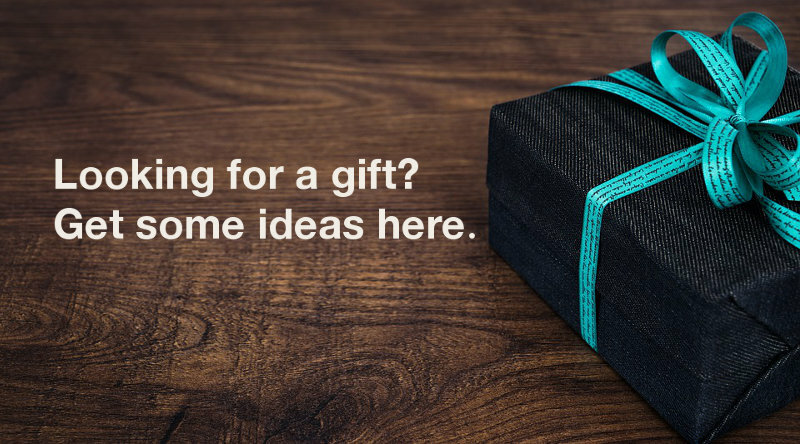 With that when you use your browser to access taiga.yourdomain.com, your browser will be redirected to https://taiga.yourdomain.com which allows your browser to communicate with your Taiga installation via HTTPS. At this point in time, our Taiga installation will not be able to send email. To allow email to be sent by Taiga, first install Postfix as the SMTP server for programs to send email from Raspbian Stretch Lite.